I love Dr. Indiana Jones. And come on, what kind of nerd doesn’t dream of traveling the globe, going on epic adventures, discovering hidden treasures, and living a life of mystery and excitement? 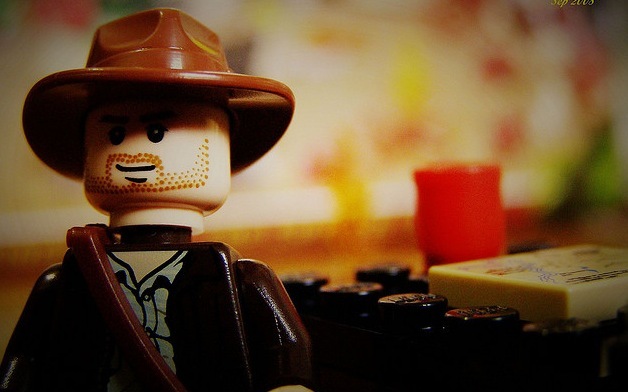 Sure, Dr. Jones might be fictional, but that doesn’t mean there aren’t some serious life lessons we can draw from this absolutely spectacular trilogy. Ahem. Where was I? 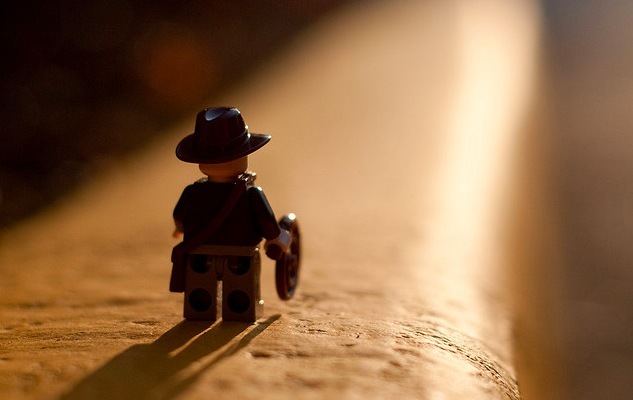 Oh right, Indiana Jones and the Epic Life. What if the Ark of the Covenant, a container that held the remains of the ten commandments, actually existed? What if the Holy Grail, the chalice of Jesus Christ, could actually grant eternal life? These naysayers went out of their way to tell Dr. Jones that he was chasing impossibility; what he wanted could not be accomplished. Maybe you are incredibly overweight: I bet a slim figure and healthy life seems like an absolute impossibility to you. Well, I received an email recently from a reader who lost 100 POUNDS in the past seven months by following the Rebel Strength Guide and Rebel Fitness Guide which I produced for my Nerd Fitness blog – I have honestly never seen a more drastic before/after photo. The best part is – he’s not DONE! I can’t wait to watch your jaw drop when I share his story with you. I truly believe that this Rebel was successful because he actually believed that he could do it. My friend Saint’s “holy grail” was a body that he could be proud of on his honeymoon – after years of denial and “I can’t do it,” he finally started to believe…a few months later, he found it. Four years ago, I read the Four Hour Workweek by Tim Ferriss. Although I had no desire to only work four hours a week, I was introduced to the idea of building an online business, traveling the world, and living life on my own terms. Most people probably read Tim’s book and said “no effing way, that’s impossible.” I read it and said “Yeah, I think I can do that.” So I did. After two years of writing articles daily while still working a full time job, more than one risky decision, another year of hustle, 65,000 miles of flying, a dozen countries visited, and one successful online business later, I am living the a life I previously didn’t think existed. People certainly questioned my sanity along the way; but I knew I had found my life’s work, and that believing I could help change the world was the first step to actually making it happen. Your holy grail exists. Stop dreaming, start believing. No, but that would be pretty funny. Instead, he voraciously read, researched, and absorbed every single piece of literature he could find on the subject: he heard every story, he read every book, he tracked down every script, he traveled to every ancient library, and cross-referenced every first-hand account of the cup of Christ. If a piece of information existed, he found it. For days, weeks, months, and years, Indy gathered this information, hypothesized, tested, and referenced, while separating fact from fiction, truth from legend. 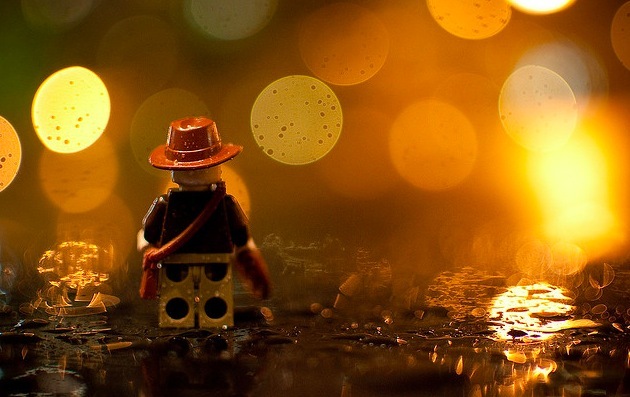 By the time Indy set out to find his treasure, he already knew everything about it. What we can learn: Do your research, my dear friend! Once you determine what your “holy grail” is, take it from an abstract dream and turn it into a concrete goal. Become a voracious reader and absorb as much information as possible. Interview and learn from those who have had success before you. Sure, you’ll come across some bad information every now and again, or you might find two sources that have conflicting ideologies that require you to do even more research. It’s worth it. The more information you have on your grail, the more success stories you can come across, the better educated you’ll be about the topic and the less likely you’ll be to dismiss it as a pipedream. If you want to become a world class marathon runner…don’t just put on a pair of shoes and run out the door while hoping for the best. Start doing your research: learn from people who know what they’re talking about, read five other books on running, subscribe to ten running blogs, and start learning from your athletic friends that are great runners. If you want to become an expert runner, become an expert researcher on running. Learn, absorb, qualify, repeat. Some day I’m going to buy an island in the Caribbean – you know, for the Nerd Fitness Rebellion world headquarters and training ground. Sounds unbelievable right? Nope. After reading Richard Branson’s Losing My Virginity, I realized it WAS possible, so I started doing my research – Little Hog Cay can actually be had for under $2 million, and other smaller islands can be had for much less! Of course I don’t have $2 million just waiting to be spent (…yet), but I’ve already taken this crazy dream from the abstract down to the realistic. Perfect! All Indy had to do was show up and claim his door prize – one cup of everlasting life, right? I’m sure Indy was freaking terrified and unsure of himself before each obstacle. Luckily, all he had to do was follow directions, put one foot in front of the other (okay and kneel at the right time to avoid decapitation), and succeed where thousands before him had failed. What we can learn – At this point, you’re already believing the unbelievable, and you’re doing your research on making your unbelievable more concrete. It’s now time to put a specific, step-by-step, plan in place for you to accomplish it! These steps can be absolutely miniscule – an extra phone call today, one more push up tomorrow, one less can of Mountain Dew this week, an extra book read this month. Whatever! What’s important is that you start to understand that leveling up your life doesn’t happen overnight. A dramatic adjustment in your life isn’t instantaneous – it’s actually the result of hundreds or thousands of tiny little improvements over the course of weeks, months, years. Its easy to give up on something that seems so distant and obscure. However, when you can logically connect the dots from where you are to where you want to be, it’s much easier to avoid getting overwhelmed and actually GET STARTED. One quest at a time. One day at a time. One step at a time. Dr. Jones is a brilliant archaeologist, and judging by the faces of his students (mostly the females), he’s quite the professor as well. He could have lived his life in relative peace and quiet, simply researching and studying and teaching – no risky adventures, no clashes with Nazis, no freaky eye-melting supernatural phenomenons. He’s probably tenured too and making quite the living! 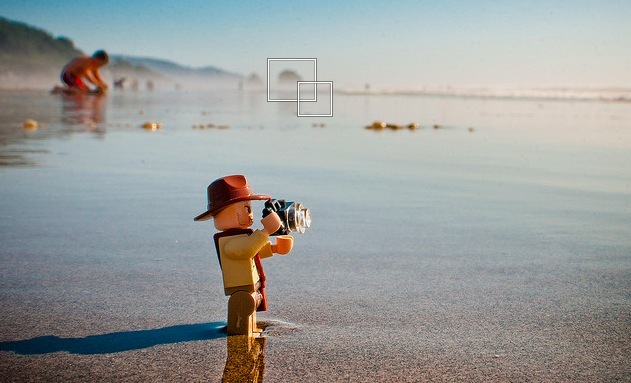 Fortunately for us, Indy has always been drawn to adventure, understanding that all the planning and studying and research in the world doesn’t mean much if it’s not acted upon. Sure, the research was necessary to get the first steps done, but without action the Ark of the Covenant would have stayed hidden and the Holy Grail would have remained a legend. 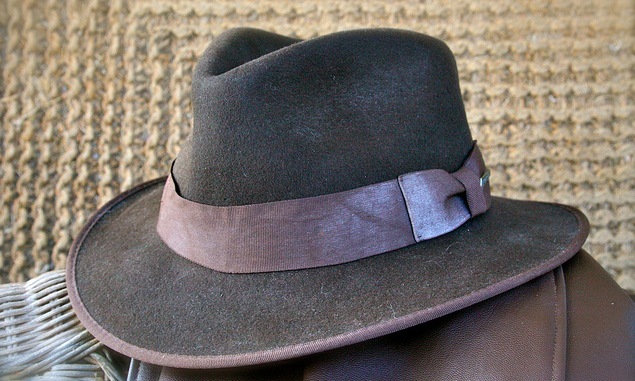 Indy was the man because he did his research, and applied it! What we can learn: Get out of your house! Yeah, research helps. Yes, putting a plan in place is incredibly beneficial. But having the best plan in place doesn’t mean **** if you aren’t willing to act on it! So start your adventure. You might make mistakes. You might start heading down the wrong path. THESE THINGS HAPPEN. However, as long you are learning from your mistakes, every step you take – even if a few are failures – is merely a stepping stone towards your Holy Grail. Go. Act. Do. Learn. Repeat. Although Indiana Jones always prepared like a mofo for every quest he went on, he often found himself in precarious positions due to Nazis, angry natives, spies, and so on. If he freaked out whenever things didn’t go his way, Indy would probably have been squished under a giant ball before his adventures really got started. Indiana: Meet me at Omar’s. Be ready for me. I’m going after that truck. Indiana: I don’t know, I’m making this up as I go! In Indiana Jones and the Temple Of Doom, Indy was heading home after an eventful adventure in Asia. Unfortunately, his plane crashed, and after a harrowing mid-air improvisation – using a raft as his parachute – he drifted into a village looking for help. Sure Indiana could have found a way home and gone back to the quiet life of a professor. Instead, he decided to explore the disappearance of the town’s children over at Pankot Palace (where he almost had his heart ripped out – not cool). Indy always had a plan, and things always generally fell apart. Fortunately, Indy realized that sh** happens, so he sucked it up, dealt with it, and made changes when he needed to. What we can learn: Life is going to get in the way – your kids will get sick, you will get laid off from your job, you’ll have an unexpected business trip, your training partner will move out of town, whatever. Life happens, and your perfectly researched plan could quickly become obsolete. If you’ve been preparing and planning and researching, then you’ll understand that these things happen and it’s an easy adjustment for you to switch mine-cart tracks and continue your pursuit of your goals. Build your body and life so that you’re prepared for everything, and you can do anything. Your goals may change as your life changes. You might set your goal as one thing only to discover a few months down the road that actually want something completely different. That’s okay. What’s important is that you recognize the need for some flexibility and adaptability in your plan, and then not freak out should things not go your way. Especially when Nazis are involved. What’s YOUR Holy Grail – a goal in life that seems so far away and out of reach? Have you come to the realization that it exists? Or are you still struggling with that reality? What one piece of research can you find today, and what’s ONE step you can take towards that goal this afternoon? Most importantly, how can I help you in your quest? 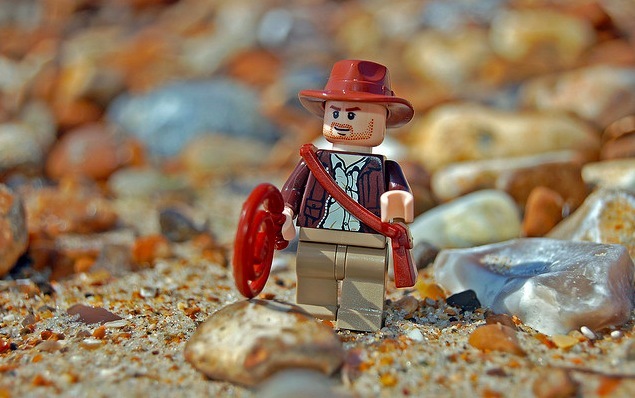 What other lessons can we learn from Dr. Jones?